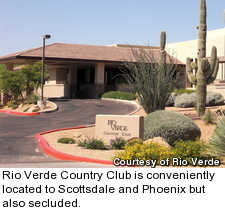 RIO VERDE, Ariz. -- There's no shortage of golf course communities in the Phoenix/Scottsdale area. Some of the most famous in the country, such as The Boulders and Desert Mountain, are located here, along with many you've probably never heard of. 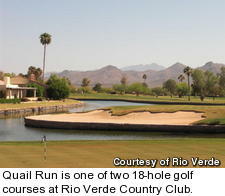 But even with an impressive selection, there are few things that make Rio Verde Country Club stand out. 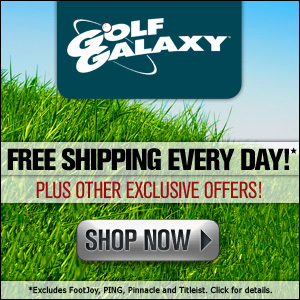 First, it has two golf courses, which immediately narrows the field in the region. If you are going to live on a golf course, become a member and presumably play often, there is a lot of be said for options and variety, and many area golf communities have just 18 holes. Second, Rio Verde does not have an associated resort hotel like TPC Scottsdale, The Boulders, The Arizona Biltmore or many of the other course options here, meaning you have the golf all to yourself. Want more? Well, it's conveniently located (30 minutes to Scottsdale, 45 minutes to downtown Phoenix, 45 minutes to Sky Harbor airport) but secluded (not part of the urban sprawl that envelops many of the area's golf developments). The municipality of Rio Verde sits northwest of Scottsdale, just outside Fountain Hills, with the closest "city" less than 10 minutes away. But the biggest appeal is the bang for the buck. 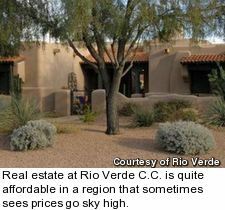 Rio Verde is quite affordable in a region that sometimes sees prices go sky high. Lots for custom homes (there are 11 left) range from $60,000 to $280,000. Existing villas, which are essentially just non-custom homes, run $200,000 to $350,000 and range from brand new to built in the 1980s. Custom homes also start at $200,000 and go to $2.75 million, though the vast majority are less than $1 million, with most in the $300,000 to $800,000 range. They range in size from 3,000 to 4,500 square feet. The 735-acre development is low-density, and most of the homes are on fairly large lots and have covered patios with ample outdoor living space. About a third have pools and/or spas. For example, a 3,000-square-foot, three-bedroom home on a large lot with multiple covered courtyards and a pool is currently priced at $599,900. 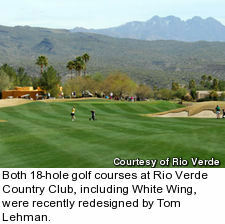 If you want the full Sonoran target desert golf experience, Rio Verde is not for you. The community has two old-school parkland-style golf courses, Quail Run and White Wing. Both were recently redesigned by Tom Lehman and feature lush rolling fairways with omnipresent mountain views in the Four Peaks and Tonto national forests. Both courses are very walkable, and many members actually walk, another unusual feature for Arizona, though plenty have their own golf carts. Rio Verde has a traditional country club set-up with six lighted tennis courts, a community swimming pool, fully equipped exercise facility and 27,000-square-foot Southwestern-style clubhouse. A less traditional but notable amenity is Rio Verde's ranch, located on the banks of the Verde River, with a riding club. If you want either a second home in one of the most reliable winter climates in the nation, or a place to retire to without spending a fortune or living in a resort, Rio Verde is worth a look.